Susan Sontag (1933 – 2004) discussed the interrelation between ‘Presence’ and ‘Absence’ regarding to expression modes of art and their intimate relationship with the pluralistic concept—‘Beauty’, in her essay for the contemporary performance, Available Light (1983). Especially, she developed an argument that the notion of ‘Absence’ does not refer to mere ‘Emptiness’ and it rather could be a hidden essence of beauty. 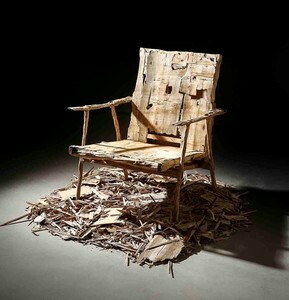 She also dealt with the importance of ‘Absence’ with regard to an artwork’s structural aspect. From an iconological point of view, represented works are manifested through images given onto target objects or pictures. In the territory of vision, the notion of ‘Absence’ remains under facades of artworks which are a non-visual realm, though it operates as a significant element supporting to construct the works’ meaning and concept. This ‘Absence’ exists in diverse forms: a main theme itself (for example, unspecified yet innumerable social phenomena and distinct features found in familiar objects) or a valid representation of immaterial factors such as time, ambience, space and sentiments. Annaik Lou Pitteloud shows a neon sign piece employing words newly coined by the artist himself based upon a keen insight into from subtle conditions dwelling in the inside of an international art world to pervasive social phenomena under a global system. The words are invented by borrowing the CKMY colour format accepted as an industrial standard and typical schemes of advertising media. Efficiently containing two meanings as though they were existing before, the words reflect our community’s appreciation and sentiment about overflowing random social affairs and mass media. 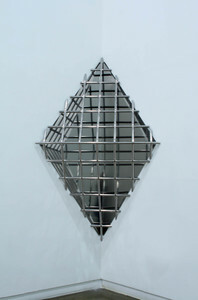 The major subject of Lee Jiyeon’s practice is ‘Space’ establishing a structural foundation of her work. She does not treat this subject as a secondary factor decided by activities of people or objects, which are usually understood as a satisfactory condition of the word’s lexical definition. In this aspect, Lee’s Draw in drawing series is not only a manifestation of her subjective recollections about numerous spaces, but also a kind of Hommage to them. 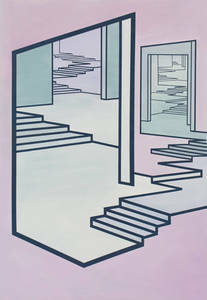 The shapes of doors and stairs highlighted by a contrast of primary colours are continued overlapping and disappearing towards the inside of her picture plane. 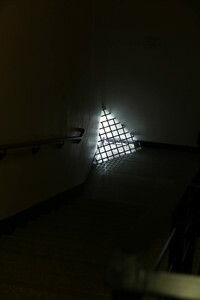 She completely eliminates traces of human or objects to allow spectators to concentrate on one space dependant upon its adjacent space’s shape and scale. 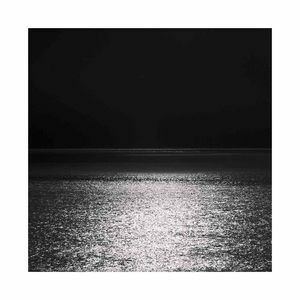 Jang Minseung’s Black Sunset (2012 – 2017) is a photograph calmly capturing moments of sunset in a black and white gradation. With a composition excluding entire information about the space, the scenery is generalised to ‘an anonymous space’ or ‘an anonymous sea’. It ultimately encourages an audience to pay more attention to its foundation and protoplasm. As the sea landscape is delicately depicted in a black and white gradation and an extremely moderated mode, it is re-generated into an independent subject appealing only visual receptors with a sense of narratives intended by the artist. 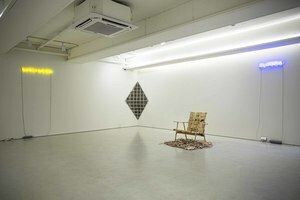 Jeong Haeryun’s WEB003 (2014) is an installation piece which discloses her personal experiences of the period of settling down in Korea after long years of staying abroad. As the title implies, the work consists of industrial equipments attached for a specific aim and they are complicatedly entangled under a certain regulation. Jeong attempts to visualise her contemplation of a situation: when various procedures and duties are demanded from associated members in a social network, an original purpose of their relationship steadily dissipates. Consequently, it is embodied in the installation figure uncannily occupying a space without providing an explicit reason for its existence.